Turn right on to Provincial 17th way (台17線). 1. All cars have to pick up before noon. 30 TWD/ per hour charge for any car pickup after noon (include less than an hour). 2.Over 6 hours will be considered as overnight parking. (Guoguang, Pingtong, Kaohsiung or ZongNan Buses Service) From Kaoshiung Railway Station: Guoguang, Pingtong, Kaohsiung or ZongNan Buses Service Take Kaohsiung←→ Kenting Bus. 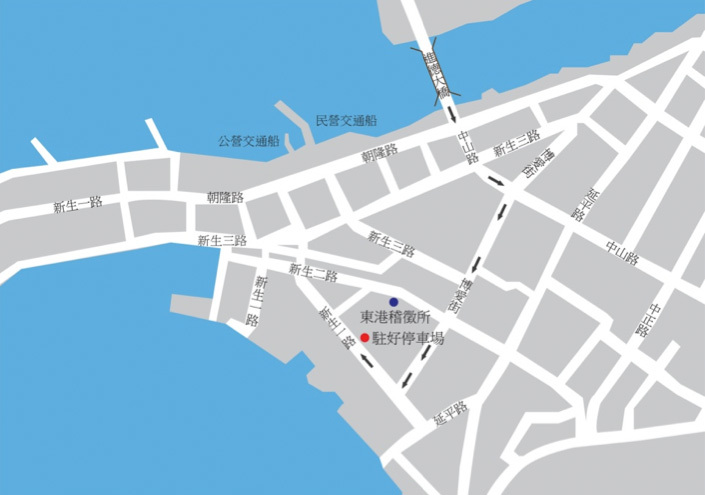 Stops: Kaohsiung, XaioGang, Linyuán, DongGang. Distance: approximately 60 -90 minutes Arrived DongGang stop. By work to Ferry Pier about 10 minutes. 1. Pingtong←→DongGang . Stops: Pingtong, Gongguan, xīn yuán, wū lónɡ, DongGang. 2. Arrived DongGang stop. By work to Ferry Pier about 10 mins. at THSR (Taiwan High Speed Railway) Zuoying Station(左營站) and Kaohsiung Railway station. Please contact shuttle van service personally. Or contact us if you have any questions regarding fares, destinations, service areas etc. We are happy to answer any questions you may have!